A gray aluminum oxide grain makes this wheel ideal for general purpose deburring and tool sharpening at a balanced blend of value and performance. 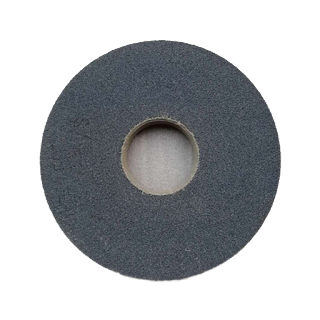 With a vitrified bond that resists wear and holds its shape, as well as a green silicon carbide abrasive, the vitrified grinding wheel is ideal for general purpose grinding and cutting on nonferrous and carbide tooling materials. 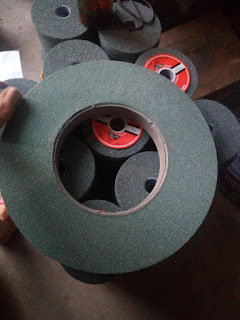 The vitrified grinding wheel features a white aluminum oxide abrasive that provides a maximum cut rate and cool grinding action, while the vitrified bond ensures the wheel holds its shape and resists wear. Telescoping bushings ensure the wheel fits most arbor hole sizes. Use the wheel for deburring and tool sharpening with soft carbon steels, tool steels and super alloys.